​A grandmother’s secret past leads to a Tommy gun, a rare gold coin, murder, and love. Sarah Shapiro rummages through the ruins of her grandmother’s deteriorating farmhouse and discovers a metal box and a Tommy gun buried beneath the floorboards. With the help of the charming, flirtatious Morgan Mills, she investigates the clues left behind by her grandmother. But Clifford Ketchum, a contractor with an attitude, boils her blood and contradicts her emotional reactions with his nearness. While trying to unravel the mystery of her grandmother’s secret past with the contents inside the box, the Tommy gun disappears, her soon to be ex-husband is killed, and how could she possibly fall in love with a deceiving contractor, who happens to have a wife. Secrecy, murder and love interweaves when a ghost horse leads her through an investigation, endangering her unborn child. ​The day Rebecca Tripp meets Thomas Slye, secrecy, murder, and love intertwines when she envisions a ghost horse leading her through thunderstorms of doubts, and an investigation endangering her unborn child. 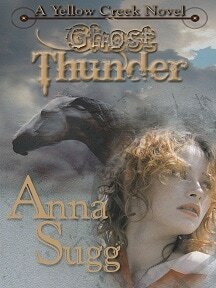 Trapped in the dark stables on a stormy night, the crackling thunder fails to cover up the whoosh of a bullet landing in the post near her head. Rebecca hugs her round belly as the blue lightning flash reveals a man’s silhouette. Did she go too far? Is Thomas part of the horrendous crimes committed against the beautiful Tennessee Walking horse? Why did Thomas want to kill her? She loved him. Unexplained visions. An old Cherokee Indian. A dog. And, human bones from the past. 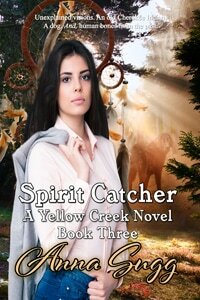 Watch the video below about Spirit Catcher. When Charlotte Jane Matheson hangs the ancient Dream Catcher on the wall over her bed, she has weird dreams. Stirred by her dreams, she travels to the small community of Yellow Creek, Tennessee, determined to find out their meaning. While there, she meets an old Cherokee Indian, a dog that suddenly appears out of the dark woods, and a good-looking farmer-wannabe. Then, her dreams stop, but unexplained visions draw her into the past through a circle of light. The phenomenal images of her mother, who’s been missing for over a decade, has to mean something when she’s led to a cave beyond the Cherokee burial grounds. Is the old Indian a true Cherokee, or a witch? Can he help her understand her visions and their meanings? How is a missing employee connected to her property in Yellow Creek? And, why is the mysterious, farmer-wannabe always in the right place to help when she’s in need? What does he want from her? What does it all mean?